Our tower crane inspectors are always motivated to inspect new towers. Tower cranes offer breathtaking views of the beautiful skyline, and more importantly, gives our inspectors the opportunity to be a part of the most exciting building projects around. Massive structures could not be built without the lifting capabilities of the tower crane, as they exceed many of the limitations of most other mobile cranes. These awesome machines have a lot of working parts that require assembly and disassembly at ever worksite, so inspection plays an essential role in crane safety from start to finish. The complexity of tower cranes have prompted many contractors to hire HESCO for monthly inspections to make sure the tower cranes maintain their safe operational status. 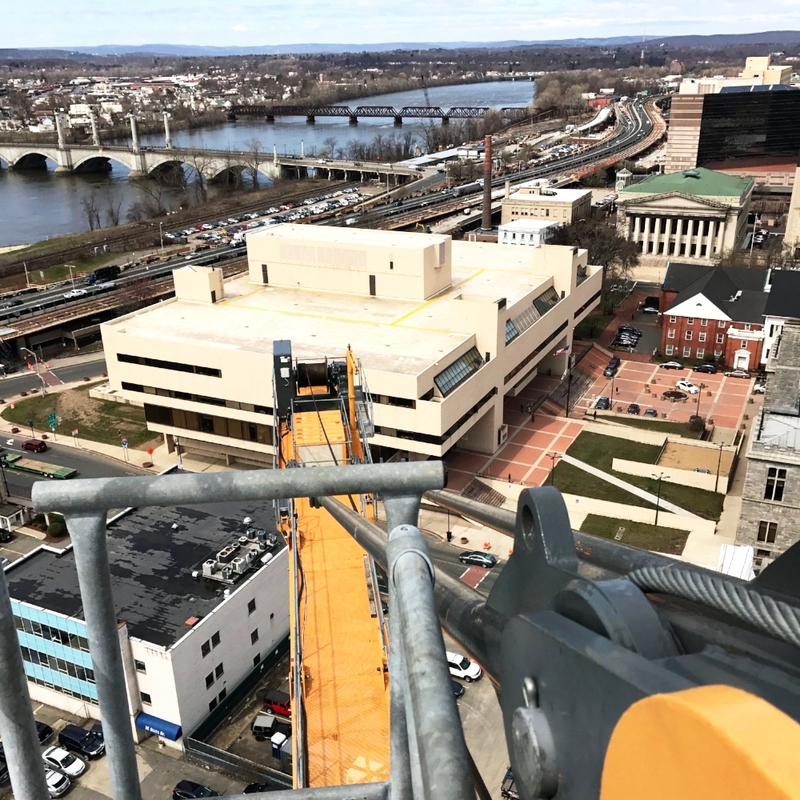 Here are a few of our recent tower crane inspections. 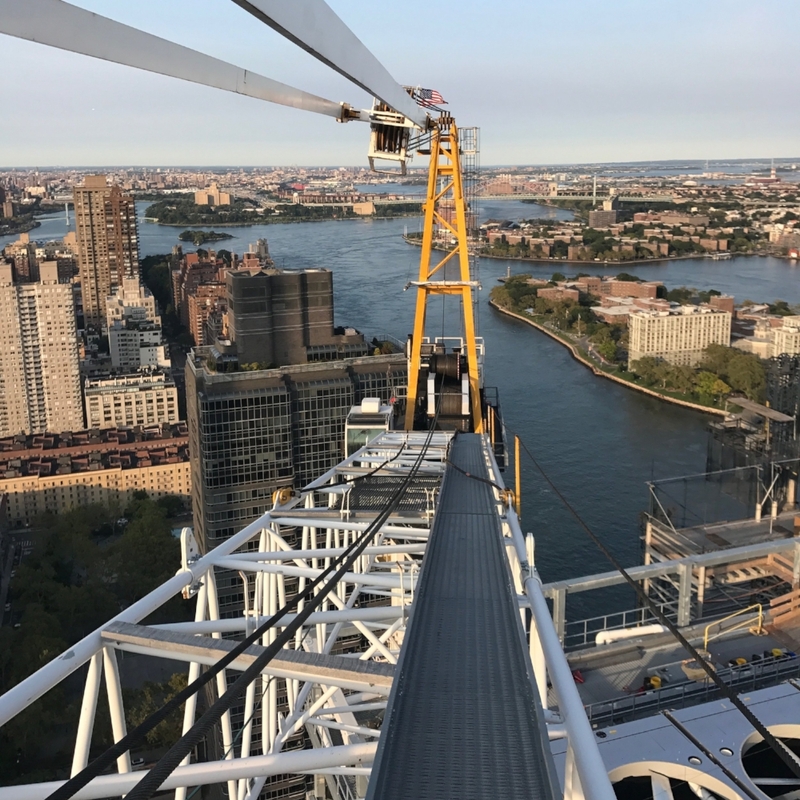 We were honored to perform a third-party tower crane inspection on the FAVCO used to build Sloan Kettering's new cancer center, The David H. Koch Center for Cancer Care. The FAVCO tower crane is an invaluable tool that will make this incredible cancer complex come to life. The new Koch Center for Cancer will serve as a model for 21st-century cancer care. Preliminary construction began in 2014 and is aiming to be completed in 2019. We were proud to serve as the third-party crane inspection for the Potain MD485 that helped construct the Kosciuszko bridge. This impressive bridge connects Brooklyn to Queens, one of the most densely populated regions in the world . The K-bridge construction project came with a whopping price tag of over half a billion dollars. Many people wonder if winning at the casino takes luck or skill. One thing we do know is that HESCO's crane inspectors rely solely on skill when it performs tower crane inspections. However, we do feel lucky to have been hired to inspect the tower cranes constructing the new MGM Casino in Springfield, MA. It is a game changer for the region and will bring many jobs to the area. We were proud to help make it happen! Stamford's Harbor Point keeps getting better. It is home to many beautiful luxury apartments, delicious restaurants and great shops, and still has many new exciting projects in the pipeline. HESCO has inspected several tower cranes in Harbor Point, responsible for transforming the waterfront area into a magnet for people who want New York City amenities, but a more relaxed lifestyle.